Sometime soon, a day will dawn perfectly mild and clear, and you’ll have no choice: bust out of your winter den to find the sun, the sky, and a nice view. 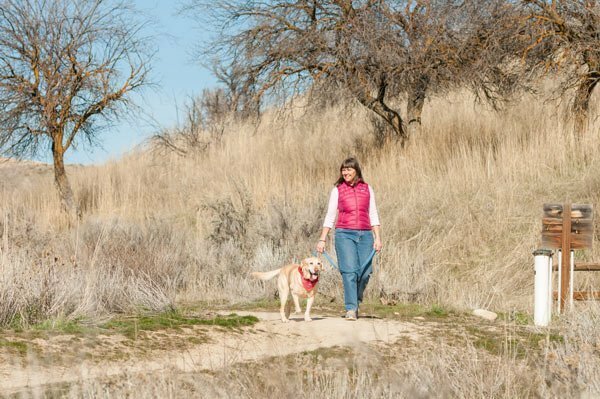 In preparation for that day, we’ve talked with experts whose livelihood is the outdoors, and they’ve recommended some excellent walks ideal for a spring day in Boise. Natalie likes to call this walk “The Ponds,” because it passes by two bodies of water. Surprisingly, just off State Street next to Veterans Memorial Park, lies a lake that’s lovely to walk along in the spring. Park in the lot off of Stilson Road, and take the trail that begins at the southern end. The trail leads walkers onto a bridge, over a canal, and then to Boise Cascade Lake. You can loop the lake or continue on the trail down to Quinn’s pond, and watch boaters, whitewater kayakers, canoeists, and paddleboats if the day is warm enough. At Quinn’s Pond, look north and you may catch a beautiful view of snow in the Boise National Forest. 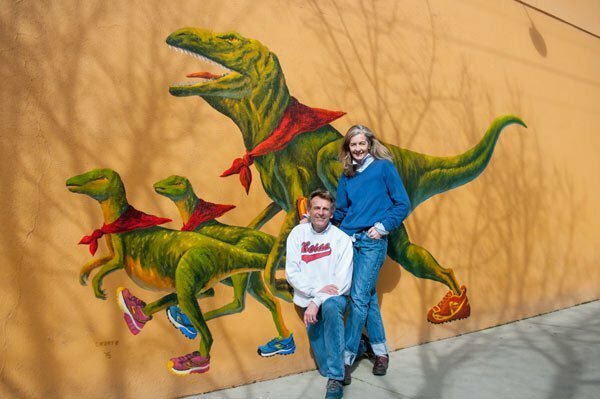 Recommended by Natalie L. Bartley: Writer and author of “Best Easy Day Hikes Boise,” the newly updated “Best Rail Trails Pacific Northwest,” and a mobile app travel guide titled Boise’s Best Outdoor Adventures. Begin at Barber Park and head north on the greenbelt path that passes next to the Boise River. Once at Bown Crossing, cross over the river on the bridge, and walk down into Marianne Williams Park. Begin by the large pond and walk the paths that lead south, and dead end next to Eckert Road. Cross the Eckert Road Bridge on your right back to Barber Park. This walk leads you by scenic riverbanks and marshes, through secluded trails, near wildlife and sparkling ponds. 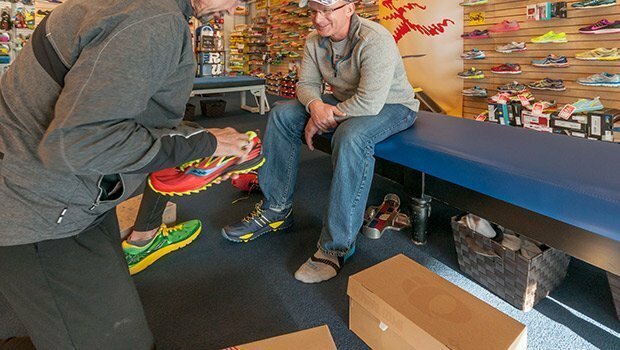 Recommended by Leone Rusher of Shu’s Idaho Running Company. The Greenbelt section between Bown Crossing and the River Quarry Apartments is a beautiful and quiet spring walk with some amazing wildlife-spotting potential. Begin at Bown Crossing below the bridge and head north on the dirt, greenbelt path. Listen to the rushing water, watch for deer, migrating birds, beaver, otters, and enjoy the budding foliage. The dirt path becomes paved at River Quarry Apartments. Continue on to downtown Boise, or turn around and head back to Bown Crossing for refreshments! Recommended by Shannon Harris, co-owner of Bandanna Running and Walking at the corner of 5th and Main for 20 years. Park at the Cottonwood Creek Trailhead. Begin your walk on Cottonwood Creek Trail #27A. The trail passes along by a stream and the nearby cottonwoods are lush and green in the spring. Take Ridgecrest #20 on your left—this trail climbs through open sagebrush and will take you to a high point. Come down Central Ridge Trail #20. As you walk down, you will have nice views of Boise and the State Capitol building. Wildflower yellow balsamroot will be blooming and in late spring you will encounter many lupines. Recommended by David Gordon, Ridge to Rivers Coordinator. Get out your Ridges to Rivers map for easy reference, or head to ridgetorivers.org for an interactive map. Park at Seaman Gulch Trailhead. Begin your walk on Wild Phlox #112 through open sagebrush. Then take Seaman Gulch trail #110. Finish by taking Valley View #111. You can shorten the walk by taking 2 different junctions. This is a great spring walk because of prevalent wildflowers, and lovely views of the west end of Boise and foothills at their greenest.